Vijender Singh, who has won all his previous four contests via Technical Knockouts in under three rounds, said Matiouze Royer knows how to fight a tough one. 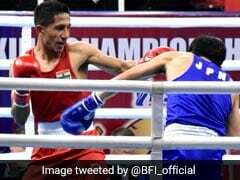 None of his four fights so far have gone the distance and Indian boxing star Vijender Singh is not keen on a longer contest either even though he does not expect this weekend's faceoff with Frenchman Matiouze Royer to be an easy one. Vijender, who has won all his previous four contests via Technical Knockouts in under three rounds, said he respects Royer for his experience of 44 bouts, which includes 14 wins. The two will square off in Stratford's Copper Arena on Saturday. "From whatever I have seen of him, he does not look easy. He knows how to fight a tough one. I would say he is good but then I am no less," the 30-year-old Haryana-lad told PTI from London. "I will try to finish this fight as soon as possible again. But I think it could be a little longer than the previous ones, which is also good for me. I don't mind more time in the ring but if I can finish off something early, why not?" he added. Asked if he has worked out any specific strategy to counter the experienced Frenchman, Vijender said," It's the same like always, hit and hit hard. That's what works everytime and it won't be any different this time." 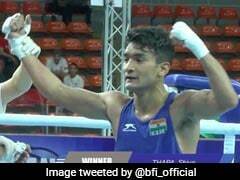 The short duration of his previous bouts has raised some questions about the quality of opposition he has faced so far and asked to rate his upcoming rival, the former Olympic and World Championship bronze-medallist said he would rather focus on himself. "Who cares how somebody is? My job is to hit the guy in front of me, I do that. I have nothing to say on how my rival is except that he does look good. If I can finish off a bout early then that's my strength. "It's a sport in which you are bound to be hit whether you win or lose. Then why not get done with things quickly, why drag the thrashing?" he laughed before signing off. 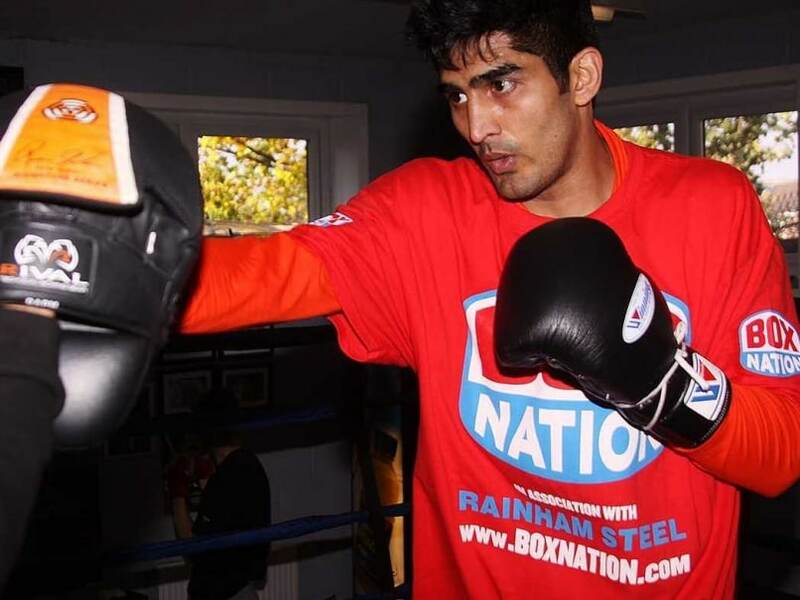 Vijender Singh Expects A Tough Challenge From Matiouze Royer. Vijender has won all his previous four pro boxing fights. Vijender will fight Royer on April 30.